If you have a child or grandchild under the age of 10, chances are pretty high that you have seen Frozen. Even if you haven't watched the movie, you have at least run across all the Frozen gear on the internet and in the stores. It's everywhere. Probably the most popular track from Frozen is Let It Go. 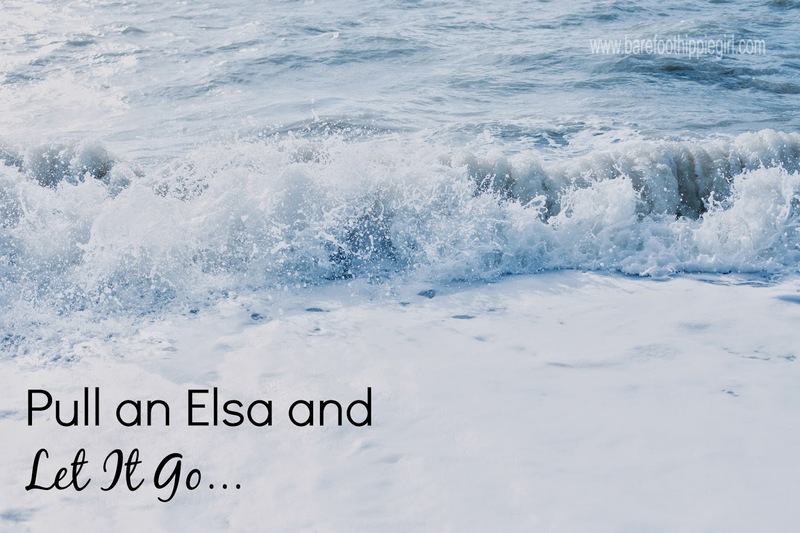 It's when Elsa goes all stormy and let's her real, wintery person out. She's done with being the good girl. But, the truth of let it go...well, it is a truth. I don't think God is calling us to go all ape and leave storms and destruction in our paths. But, letting it go...that is a recurring theme in my life. Almost any time I am going through deep waters, the mental picture that comes to me is of open hands. Palms up. Empty. 'Cause obviously I haven't quite learned that lesson yet. There's a whole lot I need to let go right now. And, even though right now is the holiday season, I am not talking about holiday season stress and hustle. I'm not talking about doing less or doing more meaningful. Expectations of people's actions that I can't do anything about. These are the things I need to let go of. Actually, all of them but pride and control are justified. There are hurts from this past year that run rather deep. There is forgiveness that has been given and taken back. There is anger that festers over injustice. And I look at these things in my heart and I see the case against people. I know that their actions were wrong. It is not just in my head. It is real offenses that cut deeply. If I told you the details of what I've been through, you'd be angry for me. You'd hurt with me. You'd say "that was wrong." You would. But, I can't approach the people who have hurt me, and bring up the junk, and expect that they are going to say they are sorry. I can't expect that they will admit they are wrong. Actually, the opposite has been true. The parties feel they were justified in their actions or in their lack of actions. So, where does that leave me? Hurt. Bruised. Angry. Unforgiving. Yet, I have a choice. I have the choice to open my hands and my heart and let it go. Permanently. To never bring it up again. Not even when another offense reminds me of these offenses. I have a choice to let it go, and let God be God. To let the Holy Spirit do His work of conviction, if that is what He wants to accomplish. When He wants to accomplish it. In all honesty, my efforts to gain an apology or an admission of wrong doing has fallen on deaf ears. It is not doing me any good to try and play the Holy Spirit. I have a choice to not confront, but to forgive. To allow myself to admit that wrong was done, and then to accept and dispense the grace and forgiveness that comes with that admission. Forgiveness is not saying that someone or some action was right. It is saying it was wrong, and there is something that needs forgiven. It is bearing the cost of the damage and hurt instead of expecting and hoping the offender will bear it. Forgiveness is giving up the right to nurse my hurt and anger. To treat it like a pet. To feed and water it and stroke its fur with remembrances of issues and offenses. 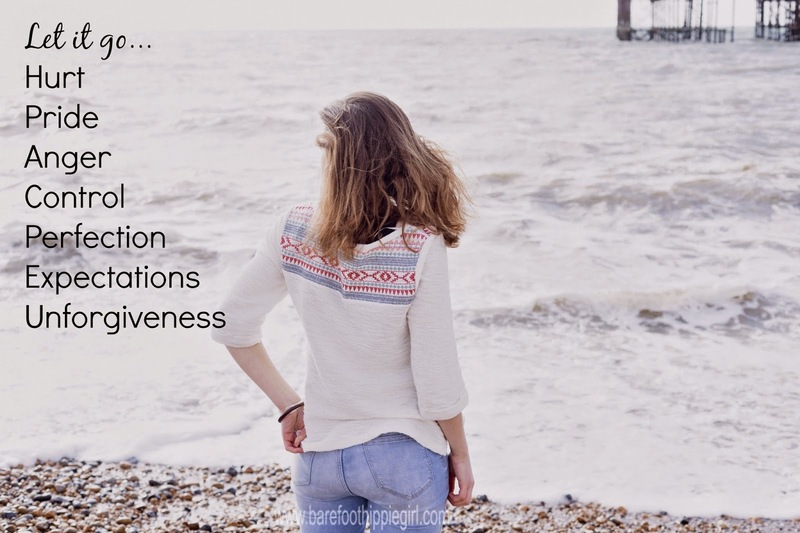 Forgiveness is intentional and voluntary. It is compassionate and merciful, absolving and admitting to both their's and our humanity. We offend and are offended. Hurt and are hurt. Forgiveness is possible through the power of the Holy Spirit. It is possible because I have offended much, and I have been forgiven much. And I weep as I write these words because it does hurt, and because I know what I have to do. I have to let go. It is as I let it go, that God has room to work in my heart. He has room to heal me. Instead of continually picking at the scab, it can heal. The broken can be made whole. Anyway, I don't know if any of you need to hear this, but I did. When I prayed about what to write, this is what God laid on my heart. Because this where I am at today. This is what I am struggling with today. This is what God wants to do in me today.